Founded in 1967, CABBS brings together people who share a passion for building, sailing, paddling, and motoring in boats. Visitors are always welcome at CABBS activities. Kick off the 2019 boating season at this annual CABBS event. Help celebrate the launch of new boats built over the winter. Bring your boat but sails or paddles only, no motors. We provide the hot dogs, brats, and sausages; you bring a side dish or dessert. The CABBS Six-Hour Canoe boatbuilding class will start March 3, 2018. Over five consecutive Saturdays, you will build a boat. Interested? Follow along here. 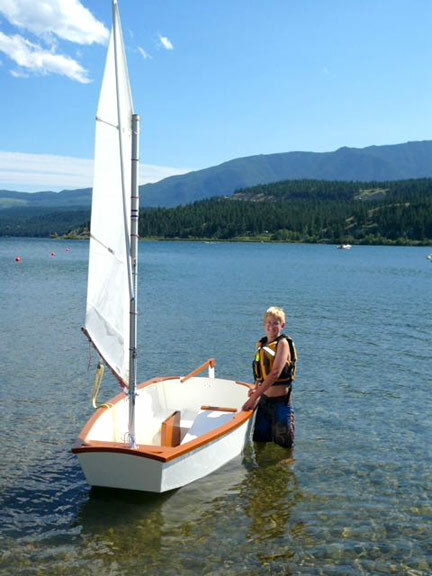 Looking for a great boatbuilding activity for you or a young person? Take a look below at our plans for building the CABBS Optimist dinghy and CABBS Mini-skiff! Founded in 1967, CABBS brings together people who share a passion for building, sailing, paddling, and motoring in boats. Through meetings, outings, and a lending library, members have an opportunity to learn and have fun wtih those who share a similar interest. Visitors are always welcome at CABBS activities. Cleveland Amateur Boating and Boatbuilders Society © 2019. All Rights Reserved.